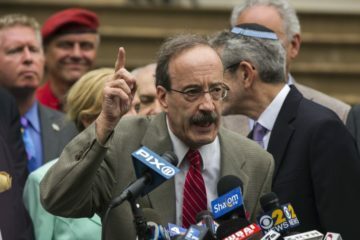 GOLDEN DAWN has been on fire lately, holding an event of some kind on an almost weekly basis. 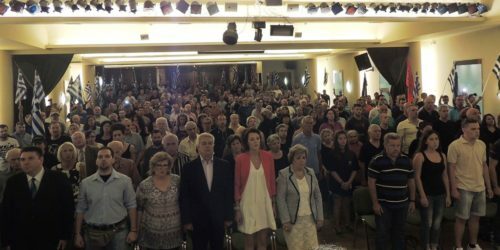 Hundreds of Nationalists assembled in the central hall of a hotel at Chalcis, where successfully took place the demonstration of Golden Dawn for the primary sector, since he constitutes the basis for the development of the national economy. 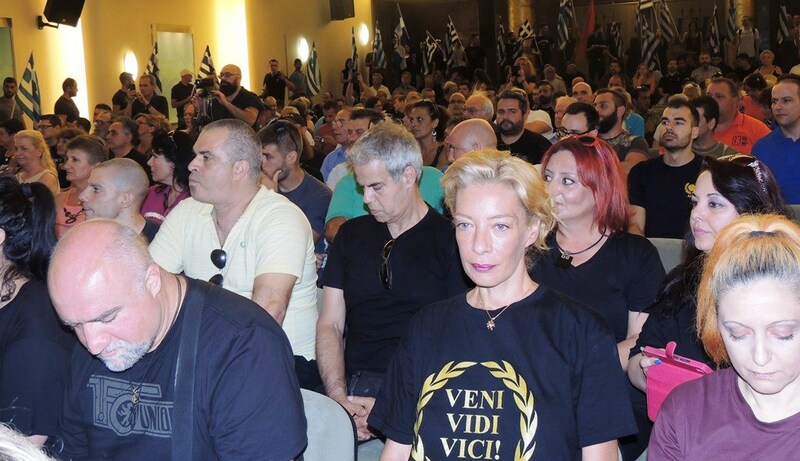 In a period where the parties of the “unconstitutional platform” and especially New Democracy — which according to the opinion polls precedes — perform events in empty halls, Golden Dawn assembles throngs of people throughout Greece. 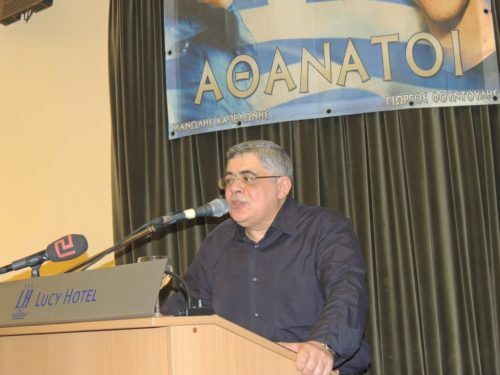 The Peoples’ Association-Golden Dawn is the only political force with a concrete plan for the upgrade of the national economy, through the restructuring of the primary sector and — essentially — through the geopolitical shift towards Russia. The degradation and the isolation of this country, caused by the governments of ND-PASOK and SYRIZA-ANEL can only be inverted through a sincerely national governance, based on the national movement of Golden Dawn. In this vigorous assemblage, there were speeches from the MPs, Evaggelos Karakostas, elected in Boeotia, Nikos Mihos (above), elected in Euboea, the MEP and General G. Epitidios, the MP elected in Attica, Ilias Kasidiaris and the Leader of Golden Dawn, N. G. Michaloliakos (below). 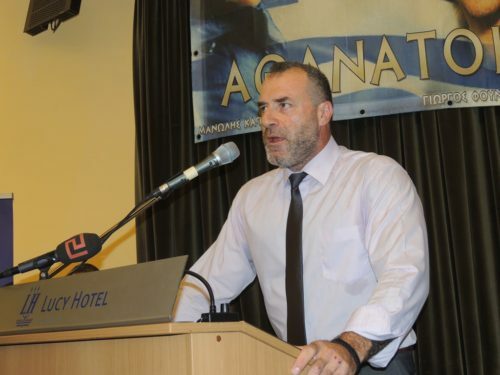 The Secretary General of Peoples’ Association made it clear that while the political cohabitation of SYRIZA-ANEL is selling off our Homeland to the international loan-sharks and the illegal immigrants, the only path out of this crisis is the development of the primary sector. The event closed with all the assembled chanting the National Anthem and the Hymn of Golden Dawn. What is the Golden Dawn?